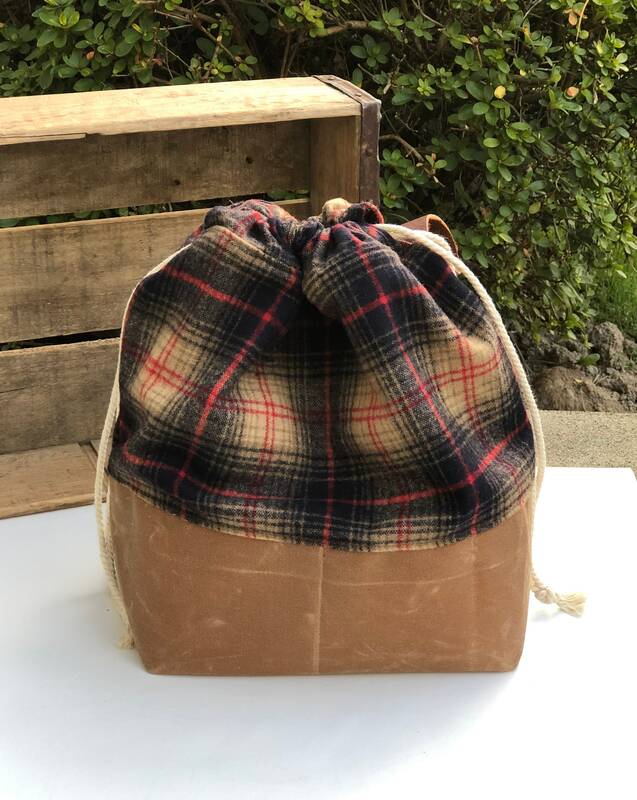 It is made from heavy, durable Waxed Canvas lower, Woolrich Tartan Plaid wool upper, 100% cotton utility fabric interior, a leather wrist strap that is hand stamped with my shop initials and a cotton drawstring cord. The wrist strap will soften with use and hang down out of the way. This is a good size bag, It measures approximately 15" wide x 13" tall and is 9" x 6" on the bottom. This does not have pockets in it. Waxed canvas is not washable but the canvas can be spot cleaned as needed.